An award-winning Azerbaijani journalist who reported extensively on high-level corruption was sentenced Tuesday to 7½ years in prison. Khadija Ismayilova, former Baku bureau chief for Radio Free Europe/Radio Liberty, was convicted of financial crimes including tax evasion and embezzlement. Her attorney said the charges were politically motivated and that he would appeal the verdict. On the last day of her trial Monday, Ismayilova told the court that the government "won't be able to force me to stay silent, even if they sentence me to 15 or 25 years." 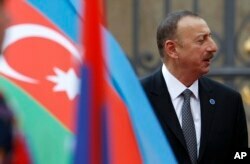 She called Azerbaijan's government a "repression machine" and said her reports proved that President Ilham Aliyev "squandered [the] state budget and his family members were direct beneficiaries." State Department spokesman Mark Toner said Tuesday that the United States was deeply troubled by the verdict and the suppression of key evidence and witness testimony during the trial. 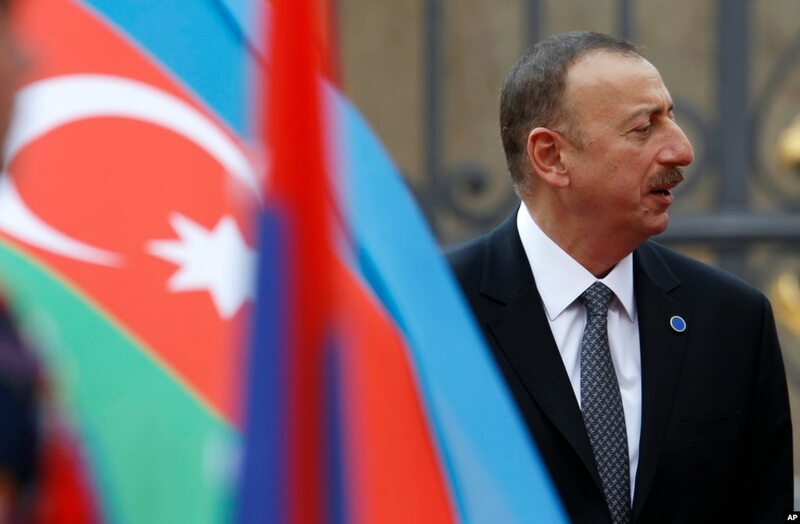 "This case is another example in a broad pattern of increasing restrictions on human rights in Azerbaijan, including curtailing the freedom of the press," he said. The Broadcasting Board of Governors, the U.S. agency that oversees RFE/RL and Voice of America, protested her imprisonment directly to Azerbaijan. "We are appalled by today's verdict," said BBG Chairman Jeff Shell. 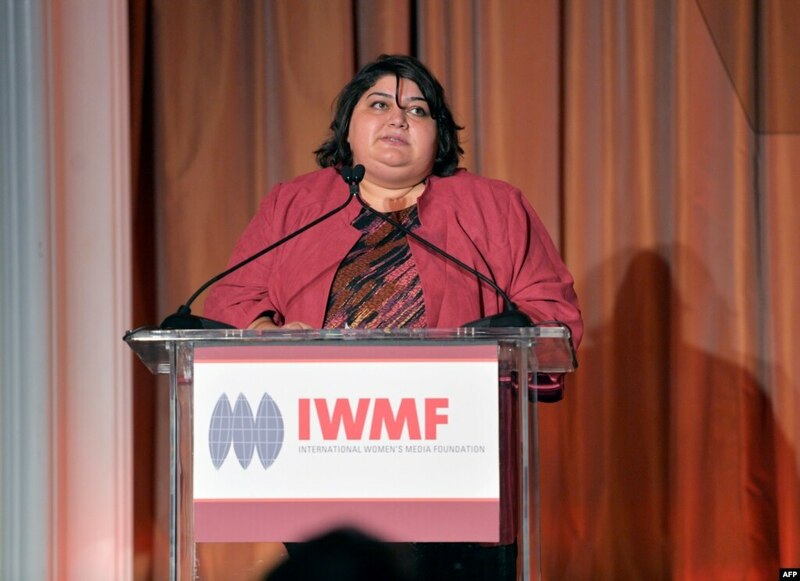 "This sentence is clearly retribution for Khadija exposing government corruption and sends a warning shot to other journalists in the country. By passing down this verdict, the Azeri government has demonstrated to the international community that it disdains press freedom, supports its own impunity and has little regard for human rights." The New York-based Committee to Protect Journalists condemned the sentence against Ismayilova, calling her trial "a farce." Ismayilova initially was arrested and jailed in December 2014 on charges of inciting a former colleague to attempt suicide — charges later withdrawn by her accuser. A number of other journalists and activists have been imprisoned in Azerbaijan in what human rights groups say is an effort to stifle dissent. 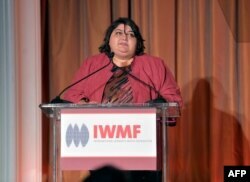 FILE - Honoree Khadija Ismayilova speaks onstage at the 2012 Courage in Journalism Awards hosted by the International Women's Media Foundation held at the Beverly Hills Hotel, Beverly Hills, California, Oct. 29, 2012.